Heroin is a drug that’s dangerous, and, in many cases, even deadly. What’s even worse is that the drug is cheap. While there’s no cure for addiction, treatment options are available. Below is more information to help combat heroin addiction. The more that you know about heroin addiction, the easier it is to fight it or help individuals overcome it. That’s why it’s so important to know about the drug. Many people don’t realize that heroin comes from the opium poppy flower primarily found in South America and Asia. Since 1924, the drug has been illegal in America. Unfortunately, that doesn’t stop heroin from being available on the street. Heroin addiction isn’t something you should try to fight by yourself. Its addictive nature can create a damaging dependency. If you suddenly stop taking the drug, your body could go through extreme physical and psychological withdrawal. Professional addiction treatment at a qualified facility is the best way for individuals to begin recovery. The treatment process usually starts with medical detox. Some rehab centers handle detox in-house, while others refer people to dedicated detox facilities. After detox, most professionals recommend an inpatient drug rehab program. In this program, proven therapies will help you learn more about the cause of your addiction. The end goal is to change negative habits and develop healthier coping techniques. With any addiction, relapse is a concern. That’s why your fight against addiction doesn’t end with your rehab stay. 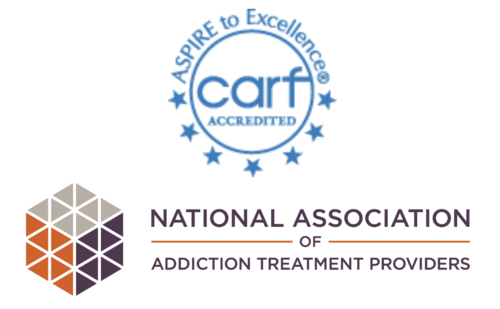 Recovery experts recommend that people enroll in aftercare addiction programs. These allow you to get the help that you need while you learn to live without heroin. Aftercare programs have no set duration. Sometimes, people only need extra help for a few days. Other times they need help for years. However, the majority of aftercare programs last about six months. Studies show that evidence-based therapies effectively set the tone for recovery. When it comes to addiction, therapy increases self-awareness. Additionally, it helps you identify harmful patterns in your life. Many times, these patterns can trigger drug abuse. Furthermore, the best therapy approaches help individuals face trauma, which is another underlying element that can lead to addiction. Lastly, professional addiction therapy reduces the chance of relapse. Dealing with the underlying issues that lead to addiction is how therapy combats relapse. While there’s no way to completely beat addiction, therapy can make daily life easier. It’s important for people to know that relapse isn’t a requirement to overcome addiction. It’s possible to overcome addiction without falling victim to relapse. Whether it’s a heroin addiction or another substance abuse issue, Memphis Recovery can help you. Our non-profit addiction treatment center strives to give all men and women high-quality, comprehensive care. Our treatment approach places a big emphasis on care and therapy. We differ from other rehab centers because we base our decisions on what’s right for our patients. Many “for-profit” rehab facilities base their decisions on reimbursement. They want to earn as much money from their patients as possible. We believe that helping you get better is much more important. Don’t let heroin addiction ruin your life. Take charge, and fight back with help from Memphis Recovery. Contact us today at 866-304-8254 for information about our substance abuse treatment programs.